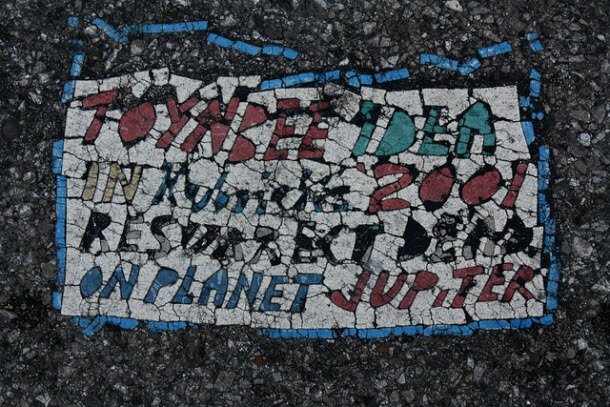 So I’ve just finished watching Resurrect Dead: The Mystery of the Toynbee Tiles. 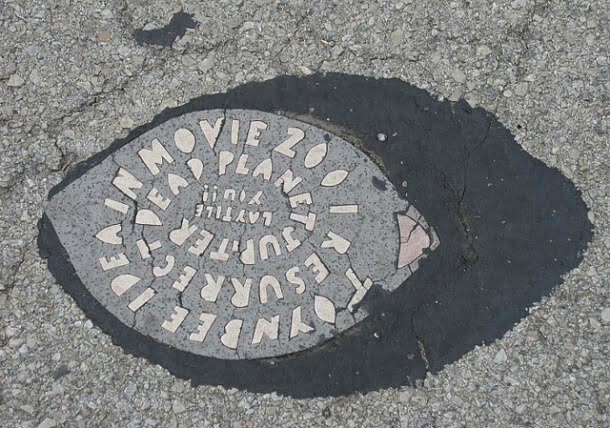 It’s a 2011 documentary about the cryptic plaques found embedded in asphalt streets throughout the United States and South America. They’ve shown up in cities around the United States, from Philadelphia (which seems to be the nexus) to Chicago, St. Louis, Kansas City, San Francisco, Boston, Roswell, and Washington D.C., as well as on some highways. They’ve also appeared in Brazil, Argentina, and Chile. No one truly knows where they came from, or what they’re for. It’s believed, however, that “Toynbee” is a reference to historian Arnold Toynbee, who’d made sporadic comments regarding death and the afterlife, specifically this quote from his book Experiences. 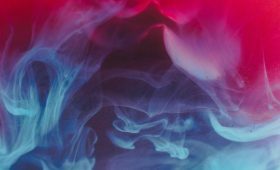 The documentary also references comments by Toynbee regarding humanity’s need to scientifically “manufacture…a real afterlife for all human beings of history.” In other words, that science must be used to fulfill “God’s promise” of a heavenly afterlife. Science fiction author Ray Bradbury may, as well, have something to do with the Toynbee messages. He’d written a short story called “The Toynbee Convector,” published in 1984, about a time traveler. Its general theme was simple: In order for humanity to thrive or flourish, it must be challenged and motivated (even when that motivation is based on a lie). This was an idea shared, and likely inspired, by Arnold Toynbee. It’s easy to read the words; it’s far more difficult to understand their purpose. It’s entirely possible that we’re dealing with nothing more than the ramblings of a madman. 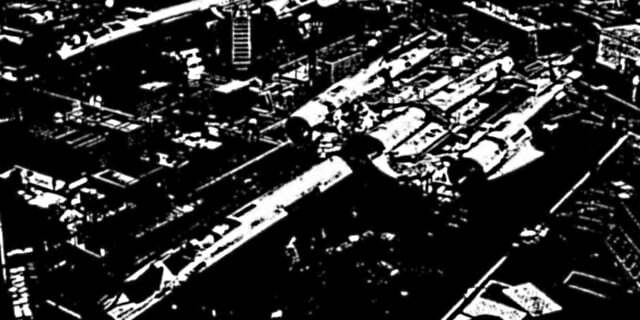 Whatever the case, Resurrect Dead: The Mystery of the Toynbee Tiles follows a small group as they investigate the meaning behind these messages. Eventually, they locate who they believe to be the “tiler.” I don’t want to spoil anything, though. It’s worth a look, and available on Netflix Instant Streaming, if you’re interested. I look at these tiles, especially the “new” ones, as modern day, urban crop circles. I’m not sure what the original intent was, though I am sure many of the more recent tiles are simply the work of “copycats,” evident by the shifting styles and changing messages. The Internet will do that, you know. It’s also possible that the original words have no meaning, that the tiles were, in fact, the work of a seriously troubled individual. Or, perhaps they were a hoax, or some kind of viral something or other (before that sort of thing became popular). That’d be unfortunate, if not expected. Resurrect Dead gets close to answering some of these questions, but there’s still much that remains unknown.